Yesterday the 2018 Ocean Awards were announced. I am honoured to have won “Campaign of the Year” for the successful establishment of the Ross Sea Marine Protected Area in Antarctica. There are three keys to any successful environmental campaign: science, media reach, and advocacy. Our campaign had all three, and more. And so I am honoured to share this award with Dr George Watters, scientist and Chair of the CCAMLR Working Group on Ecosystem Monitoring and Management, who spent six years travelling the world to present the compelling science to the nations responsible for protecting the waters around Antarctica. I also share it with The Last Ocean filmmakers Peter Young, John Weller and David Ainley, who braved ice and wind and every extreme Antarctica could throw at them to make their stunning award-winning documentary. 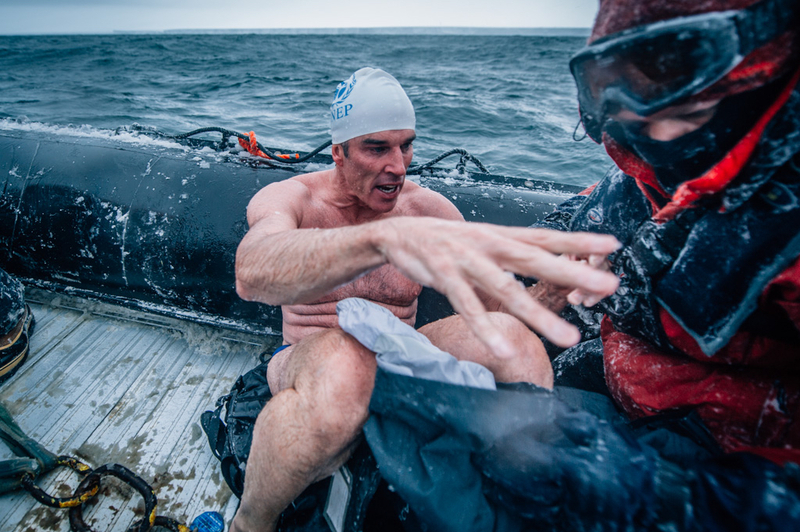 And I share it with the members of my expedition team who had my back – and protected my life – while I swam in colder, wilder, and more southern waters than any human had ever before, in order to bring the world’s attention to the fragility of Antarctica’s ocean ecosystems, and our need to protect them. The Ocean Awards 2018 judges called the establishment of the Ross Sea MPA “a phenomenal achievement” that shows “that the protection of great swathes of our oceans is a possibility”. I should point out that many other individuals and organisations worked behind the scenes and on the frontline to get the Ross Sea MPA declared. You should all take a bow. 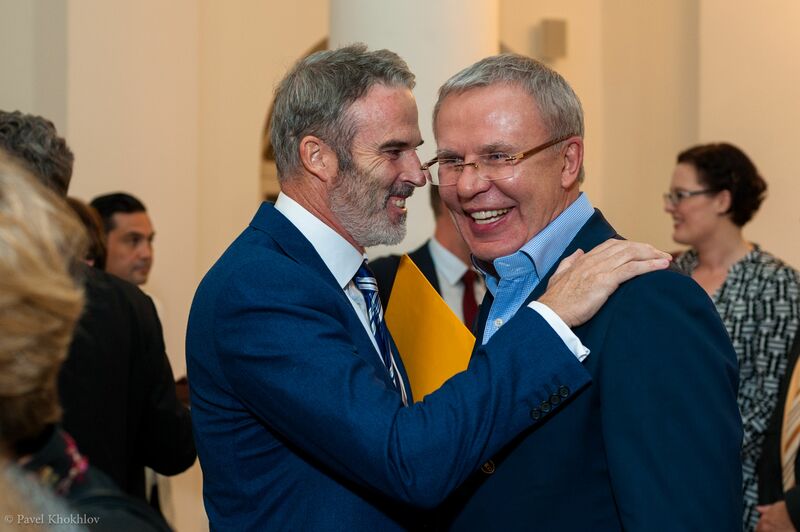 Top among those would be Slava Fetisov, the newly appointed UN Environment Patron of the Polar Regions, who worked so hard behind the scenes in Russia to make it all possible. Thanks to our collective efforts, 1.55 million square kilometres of pristine ocean wilderness will now be protected from industrial overfishing and other encroachment. Finally, I’d like to congratulate the winners in the seven other categories of The Ocean Awards, and to thank the organisers for recognising the work that goes into speaking up for our oceans. We have a long way to go, but I believe that together we are making a real difference.